Hello everybody, and welcome back to my Friday Gift Guide! Here in Dallas, we are finally beginning to feel like “the most wonderful time of the year”! So I’m getting really hyped up for Christmas shopping and Holiday adventures! How about you? Today’s gift guide selection is one I have gotten questions on quite often. We are currently at the height of the “all things fitness and health” trend. (Which I can’t complain, this trend gets me excited to see people hitting goals and getting healthy!) One of the biggest sub-trends in the health and fitness craze is fit Mommies and Yoga Mommies. 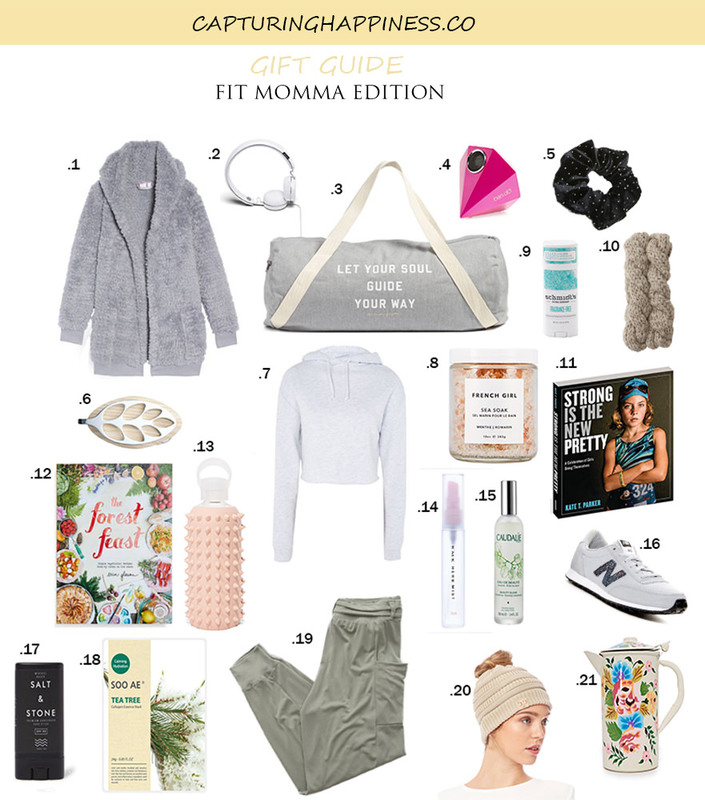 We all know one, a super trim mommy who knows her way around a playground and a yoga studio, but how do you shop for them? Today, I’m going to be giving you tips on how to spoil your mommy friend or family member! 1. This flawless fluffy fleece to keep your mommy friend not only warm but stylish while running from yoga to daycare! 2. These revolutionary washable headphones are perfect for the fitness mommy who enjoys a run, but also wants to keep the bacteria on her headphones to a minimum. 3.On those oh-so-stressful days when she’s on the run from work, to yoga, to daycare or picking up the kiddos from school, a little inspiration in the form of a catch-all yoga bag is never a bad thing. Shop this motivational tote here! 4.Stylish, cute, and useful, this giant, glamorous, and portable, diamond-shaped speaker can keep her mood up and her music going everywhere that she goes! 5.The 90’s are all the rage right now, especially when it comes to hair accessories. With this adorable studded scrunchie, she can be looking chic all day long no matter how much of a sweat she gets on. 6. The Bellabeat leaf is one of the coolest innovations I’ve seen in fitness gear — and I remember when it was just a go fund me! 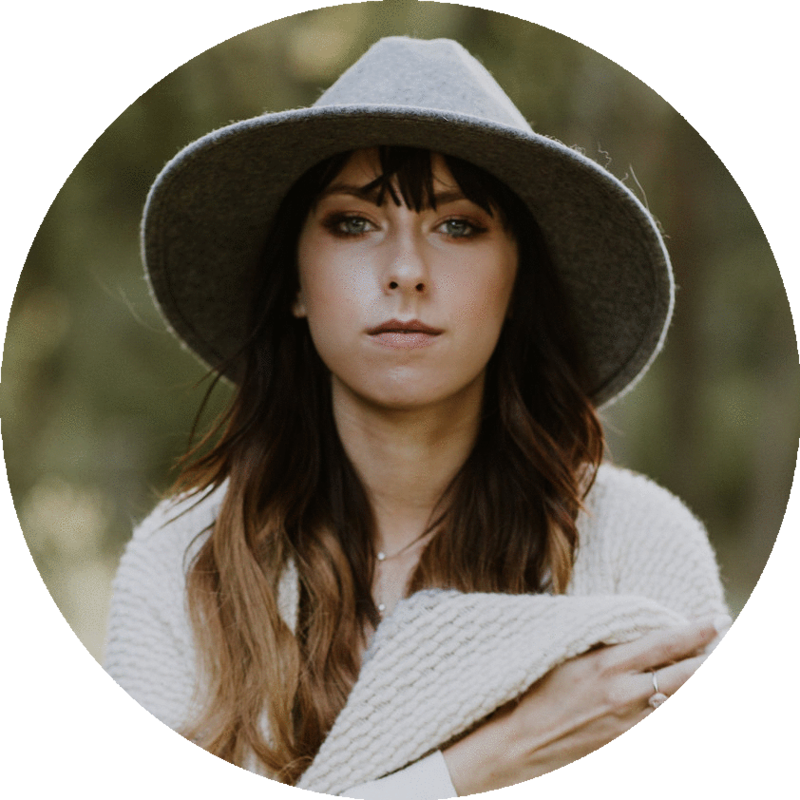 This stylish leaf accessory can be worn in about 6 different ways (check out their website), but it is so much more than stylish. Counting steps, heart rate, stress, and sleep patterns, this smart jewelry is a must have for any fitness fanatic female. 7.Cropped hoodies are all the rage right now with the entrance of the high-waisted yoga pant. They are stylish, useful, and super sought after! 8.Who doesn’t want to smell like a french girl? With this French Girl organics Sea soak, you are not only encouraging your mommy friend to take a break for self-care but also helping her indulge in a heavenly scent. 9. Most likely, your healthy fit friend has been up-to-date on the worries and fears about deodorant, so why not calm her fears and give her a safe and ever-popular All Natural Deodorant from Schmidts. 10.Winter weather is upon us, so for our outdoor jogger mom’s they’re gonna need a little extra warmth in this cold weather. So why not help her switch out her classic summer sweatband with an adorable Cable knit Earwarmer as a replacement? 11. “Strong Is the New Pretty”, but isn’t that so true in our day and age? Who doesn’t need some daily motivation to stick to their goals, and what better way than an inspiring photographic coffee table book? 12.The Forest Feast is one of my favorite cookbooks, and it still holds high popularity amongst home chefs and healthy-minded cooks. Featuring how to cook with natural grown seasonal foods and scrumptious vegetarian recipes, this book is proven to please! 13.Hydration is an utter necessity to all life, so why not try out hydrating in style with this awesome Valentino inspired studded BPA free water bottle? 14. and 15. can be interchangeable depending on what vibe your fitness friend is in. Is she into luxury or products she could afford on her own dime? Caudelie’s beauty elixir is almost always sold out as it is one of the most popular facial sprays and makeup refreshers on the market. If she is one who likes products that are affordable but still luxurious feeling, this RMK Calming rose and her facial spray may be just for her! 16. Everyone loves a new pair of sneaks, especially those who spend a lot of time in them. These day’s even your workout outfits have to impress, so why not help the fit mommy in your life elevate her style while comforting her feet with these super stylish New Balance. 17. If we’re honest, none of us use enough sunscreen. It’s sticky, smelly, and just a hassle. But for those who are constantly outdoors jogging, hiking, or enjoying sunrise salute, sunscreen is a must. So why not make the application of sunscreen easier and more enticing with this super popular SPF 50 all natural sunscreen stick?! 18. What better way to relax and rejuvenate your skin after a hellish spin class than with a “Soo Ae Calming Hydration tea and collagen mask“? 19. Comfy, Casual, and workout appropriate, number 19 on this list is pretty high on my own wishlist! These Aerie cargo joggers are perfect for the morning yoga class or even a trip to the supermarket! 20. I’m so obsessed with Messy Bun Beanies, and I’m pretty sure a large percentage of the female population is with me! On those days when you can’t be bothered to spray your hair full of dry shampoo, but you also don’t want your undyed roots to show, why not kill two birds with one stone with this gorgeously knitted Messy Bun Beanie. 21. Last but not least, why not spoil her with a gorgeous and functional tea kettle to help her soothe her nerves at the end of a long day with a cuppa? Shop this beautifully hand painted tea kettle here. I hope this list has not only been helpful but also has inspired you to get your holiday shopping on before the crazy crowds begin!